The definition of debt collection harassment is to intimidate, coerce, abuse or bully someone into paying their debt. While this can come in many forms, it typically happens over the phone, through text, direct mail, email, and contacting friends and neighbors about your debt. Creditors have the right to collect debt, however, they are not allowed to use deceptive tactics to do so. Having trouble paying your bills is hard enough; you shouldn’t have to lose your sanity when the bill collectors come calling. Knowing your rights, and options as a consumer, is the first step in avoiding being harassed by a creditor. The Federal Trade Commision (FTC), which regulates the debt collection industry, released that no other industry receives more complaints from consumers. So you’re not alone. Thankfully, the Fair Debt Collection Practice Act (FDCPA) outlines what is and is not allowed to occur in collections, and most of the law is designed to protect consumers. The FDCPA states that debt collectors “may not engage in any conduct the natural consequence of which is to harass, oppress, or abuse any person in connection with the collection of a debt”. The law also gives more than 50 examples of what that means, including: use of threat or violence to harm any person, property or reputation; misleading information regarding the legal status of a debt; false implication that the collector is an attorney, law enforcement officer, or represents the state or federal government; and constant phone calls with the intent to annoy or harass the debtor. If you feel that you’re a victim to these unfair collection practices, send the collection agency a certified letter requesting that they stop contacting you, and inform them of any illegal actions committed by the collector. Under FDCPA, once they receive this letter they must seize contact. It should be noted that the FDCPA applies only to collection agencies and attorneys; it does not apply to in-house collection agencies. If the first letter fails to end the harassment, a letter from an attorney will usually get the job done. Also, once you have legal representation, the collection agency or creditor’s attorney can only contact you through your lawyer. Another benefit of having an attorney, is that they could also help you raise claims under FDCPA and other consumer protection laws. Another option is to file for bankruptcy. Once you file the initial papers for bankruptcy, the automatic stay goes into effect, protecting you from collection activity. The collector would need to obtain permission from the court before continuing their collection efforts, and the court will not likely grant permission to creditors trying to collect on unsecured debts. The automatic stay does not stop criminal cases, some domestic obligations, and certain eviction cases. If a creditor violates the automatic stay, there are legal remedies. Since the creditor violated the court’s order, the court can sanction a violation under its power of contempt. The court can impose fines, order the collector to pay damages, and assess attorney fees. You also have the option to file a separate lawsuit against the creditor. With the help of a lawyer, you may be entitled to damages if the collector violates state or federal consumer protection laws. 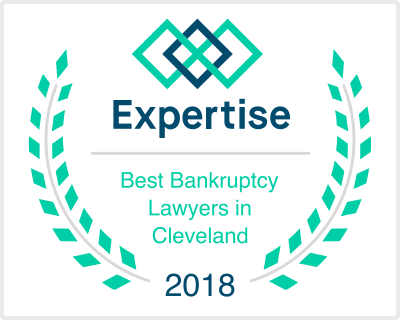 One of the many benefits of hiring an bankruptcy attorney, is that you have an additional person looking out for your best interest. Your attorney will ensure that all legal practices are handled. They will also work towards repairing your debt and credit as quickly and efficiently as possible. So if debt collectors are making your life unbearably difficult, give the office of attorney Irving S. Bergrin a call. As always, the first consultation is always free.